There is an age-old expression, “the only constant in life is change.” But oftentimes this term manages to hold a negative connotation. For one reason or another, change as a concept has gotten a bad rap. Adaptation and adoption are key, yes, but is it possible that change is a good thing? Ladies and gentlemen, welcome to a series of new and exciting happenings brought to you by the Cvent Success Team. 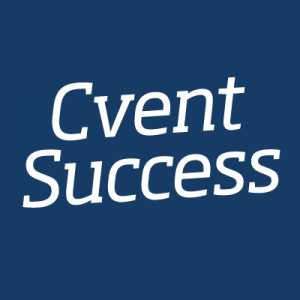 I’m here to tell you why all the following – Cvent Flex, New Reporting, and the New Event Calendar – are in fact not only good things but huge time-savers as well! 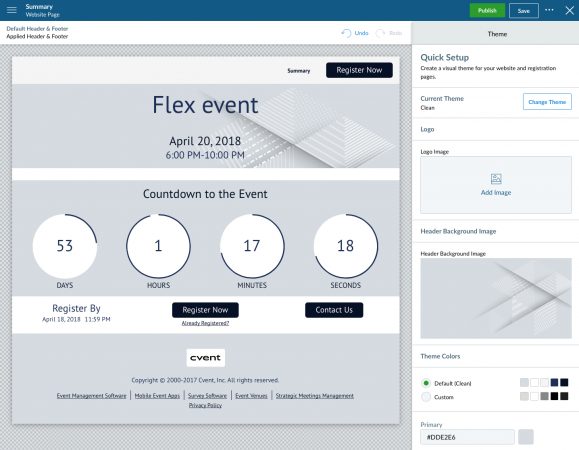 If you haven’t yet heard, welcome to the exciting new world of Cvent Flex! We’ve redesigned our registration process and website using the sleek and customizable Site Designer, allowing a better experience for you as the planner and for your ever-present attendees as well. Interested in joining the Early Adopter program? Contact your Account Manager for more details. On the other hand, if you are, you’ve already begun the process or learning and loving our New Registration Experience. As we move through the phases and continue to grow to full feature parity, we encourage all feedback you have! In the meantime, here are a few reasons to love Cvent Flex in its current form! Using the Quick Setup menu to configure your branding and logo needs when you first open the Site Designer to build out your Website & Registration Process. Pro-tip – Did you exit out of the Quick Setup the first time around? Until you “Publish” changes, the option will continue to show in the Site Designer when you first enter. You also always have access to your global styling on the Theme tab. Either way, you’ll have a consistently styled and branded website in no time at all! Widgets are content building blocks of information. These customizable components will populate the good stuff you’ve already worked so hard to build out like Agenda Items and Fees. Here are a few new and exciting widgets that will add a little something to your website or registration process and save you the time of inputting things one by one! The Image Slideshow – Autoplay scrolling images of your choice, or the speakers or sponsors you’d like to showcase to get people excited to attend! The Countdown Timer – Create some urgency for those registrants that may drag their feet otherwise by displaying a countdown to the event on your website. This isn’t just any event, they shouldn’t take their time to contemplate registering, we want them to register now! Choose between a flip or circle style. Aesthetics are important, and anyone who says otherwise hasn’t seen a Flex event. Location Map – Event Location – meet Google Maps. This widget will adjust to show a zoomed out or zoomed in trajectory of the local area surrounding your Event Location, depending on how broad or specific your location address is in Event Information! Use this widget in conjunction with a text widget to suggest some local hot spots for dining and entertainment for those out-of-towners to enjoy their downtime! With mobile phone registration on the rise, responsiveness is a key component of both Cvent Express Events and Cvent Flex! 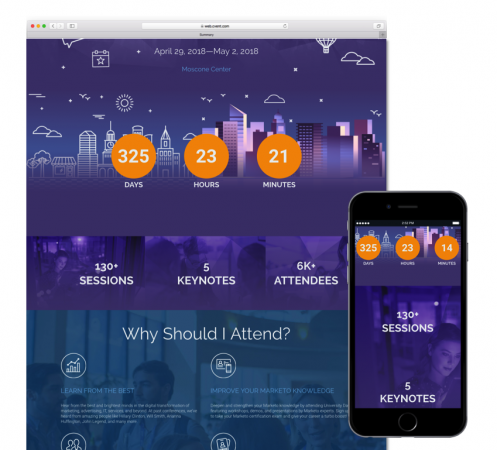 Cvent Flex events automatically adjust to the screen size of any device they’re being viewed on – perfect for registrants on the go! Look for more content to come on our New Registration Experience in the Cvent Community and sign up for our Cvent Flex Early Adopter Webinar for Phase 3 beginning in February. Enjoy these time-saving tips and others to come on other features, and embrace the change! 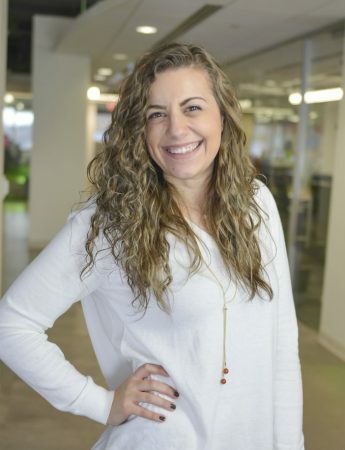 This was written by Bella Marino, Client Success Consultant at Cvent. Bella loves doing crosswords, road-tripping to visit friends and family, hanging out with her puppy-niece Penny the Golden Retriever, and pretty much any kind of pizza. Follow @CventSuccess for tweets from Bella and other Client Success team members!